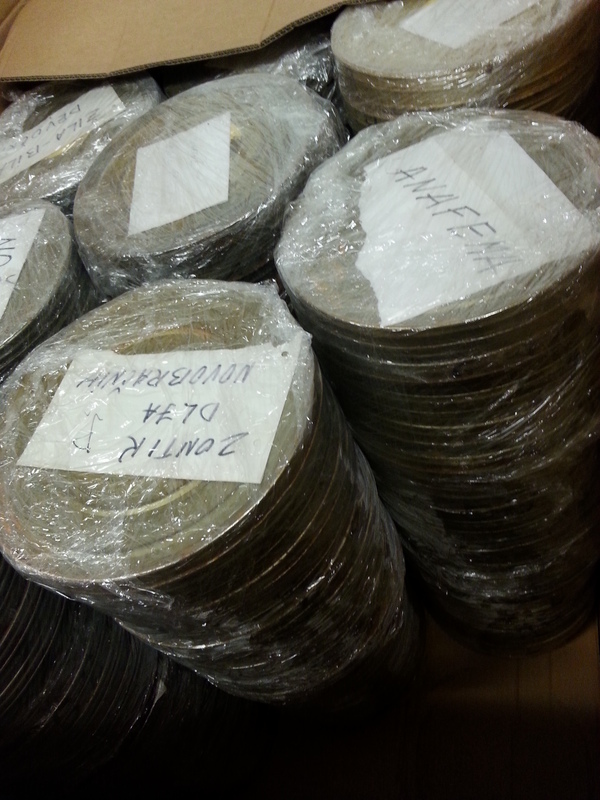 Over the next few months the HFA will be processing a large collection of feature films from the former Soviet Union. 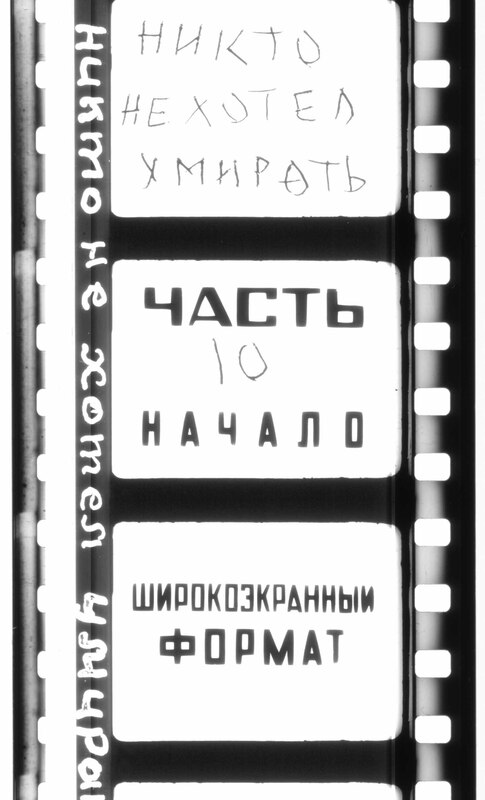 This collection of Soviet Cinema prints was collected in the 1990s by several collectors in Latvia. There is a great range of titles from the silent era to the late 1990s. 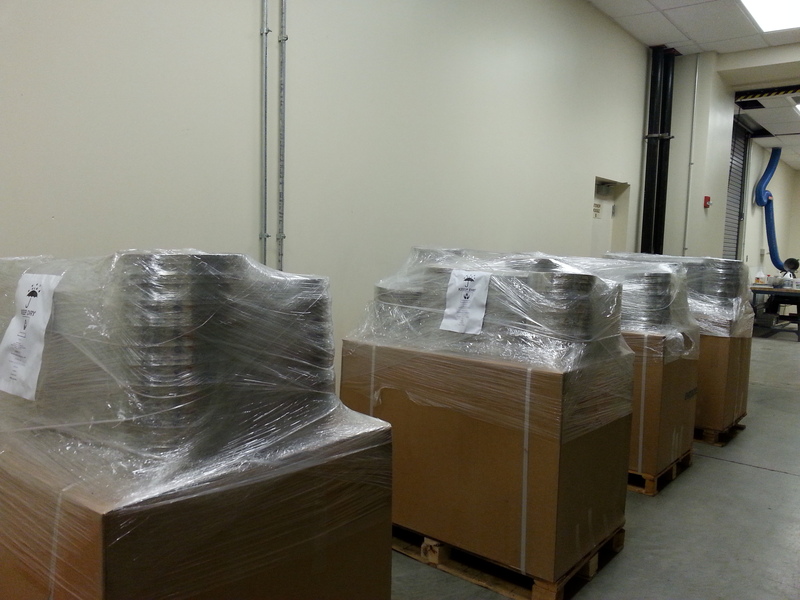 14 pallets of 35mm film canisters came in to the Harvard Depository, our offsite storage facility, this morning, and we brought some select titles back to the conservation center to begin work immediately. 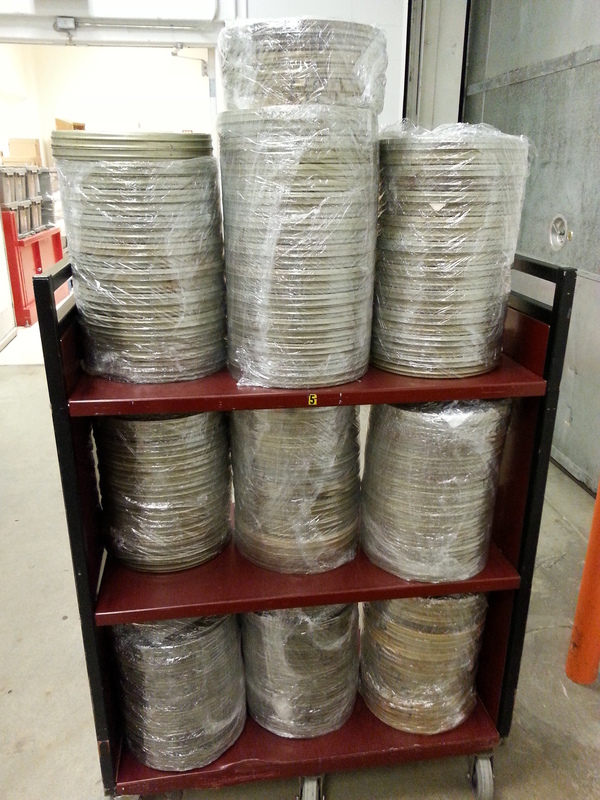 We’ll be posting more about this collection and any unique findings as we process the films. 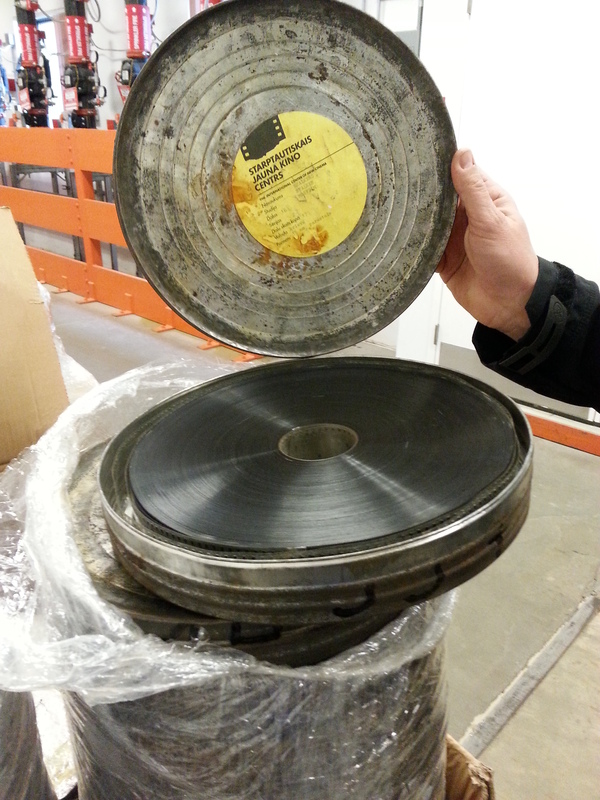 This entry was posted in collection update, Soviet Film Collection on April 3, 2015 by conservator3.